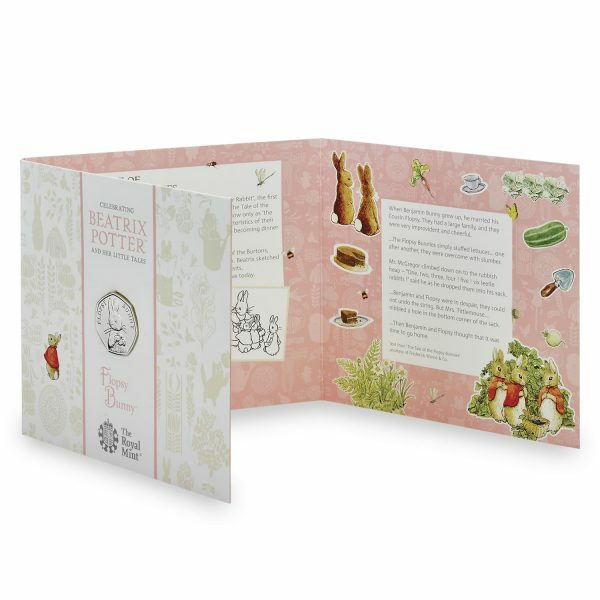 Beatrix Potter created a wonderful world inhabited by a variety of charming creatures, with many of her stories featuring adventurous little bunnies. The cotton-tailed heroes continue to delight readers around the world, more than a century after they were created. 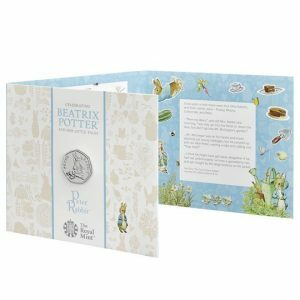 The Royal Mint began celebrating the life and work of Beatrix Potter in 2016 and Flopsy Bunny is the latest character to be struck on a UK 50p coin. 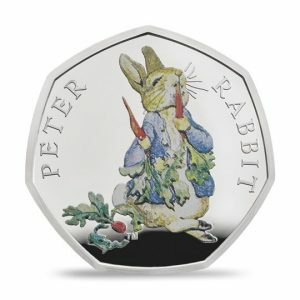 This is the first time Peter Rabbit’s sister Flopsy Bunny has featured on an official UK coin. 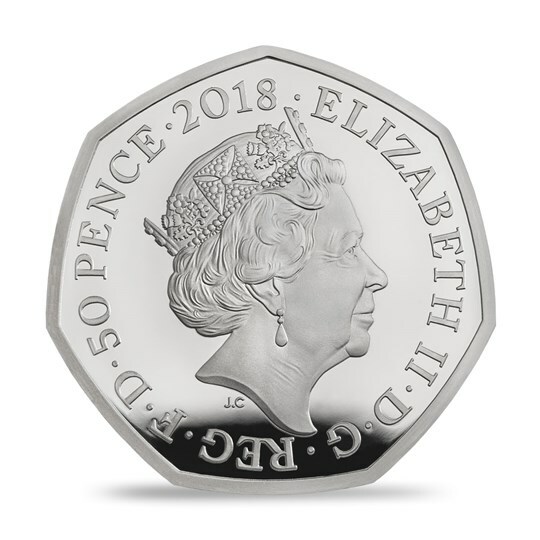 The design places Flopsy Bunny centre stage, with her characteristic little cape highlighted by the coin’s Brilliant Uncirculated finish. 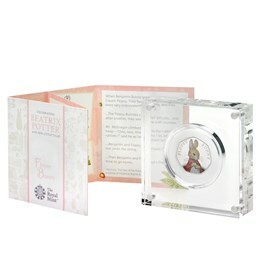 The coin is presented in fold-out packaging inspired by Beatrix’s own illustrations, with delightful details about Flopsy Bunny and her family of mischievous bunnies.